Hemlock Un-Glazed Six Light External Door PAIR. Hemlock frames un-glazed ready for your own glazing. 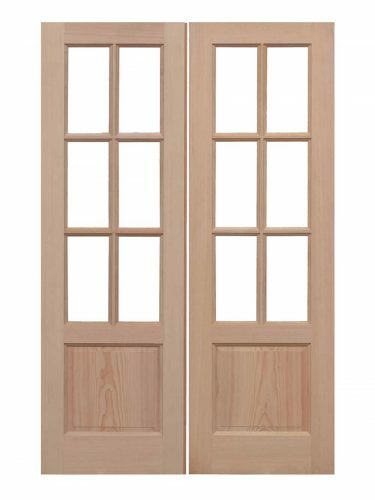 Doors rebated to form a pair. This timber is particularly suited for painting. Veneered, Mortice and Tenon construction. Hemlock Unglazed GTP2P Pairs.Create an elegant entranceway by pairing this door design up, featuring a Hemlock material, unglazed panels and raised shaped panels.